Almost every object you see in the above photograph is a galaxy. 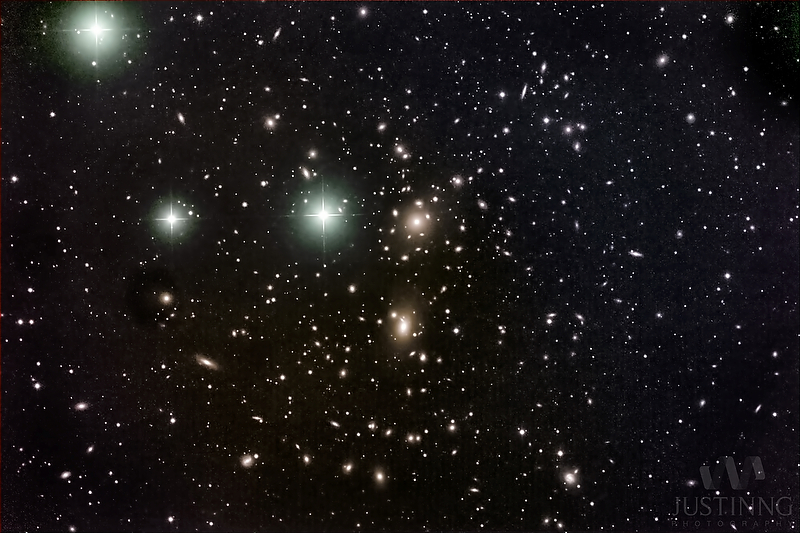 Coma Cluster is a group of galaxies in the faint constellation Coma Berenices and it contains thousands of galaxies that houses billions of stars each, just as our Milky Way Galaxy does. Most galaxies in Coma and other clusters are ellipticals, while most galaxies outside of clusters are spirals.